Integrated Systems is a firmly established resource for Cat 5 wiring and Cat 6 wiring in Denver, Fort Collins, Boulder, Cheyenne and the surrounding communities. Experience counts in this business, and we have been exceeding the expectations of our structured cabling clients since 1996. We have been able to grow over the years because we often develop long-term relationships with clients who have evolving needs, and we benefit from the positive word-of-mouth that is spread about us throughout the region. 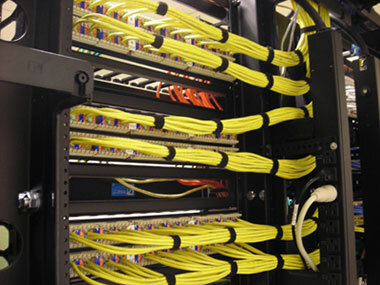 Category 5 wiring is utilized in structured cabling for business computer networks, and it can also be used for voice and video networking. We accumulated a great deal of expertise with Cat 5 wiring over the years, but it was eventually superseded by Cat 5e wiring, and now, Cat 6 wiring is the standard. However, Cat 6 wiring is backward-compatible with Cat 5 and Cat 5e, and it is also backward compatible with Category 3 cable standards. The ComCables-certified technicians that comprise our team are highly skilled, trained professionals who bring a wealth of experience to the table. We can satisfy all of your structured cabling needs, and no project is too large for us, because we have extensive capabilities. We take a great deal of expertise with us when we head out into the field to handle our structured cabling assignments, but we also recognize the importance of friendly, communicative customer service. Each situation is different, and we understand the fact that personalized attention is very important. Plus, we know that budgetary constraints are a fact of life, so we do everything possible to provide value-based pricing. If you would like to discuss Cat 5 wiring or Cat 6 wiring with one of our knowledgeable structured cabling specialists, call us right now at 303-765-1255.